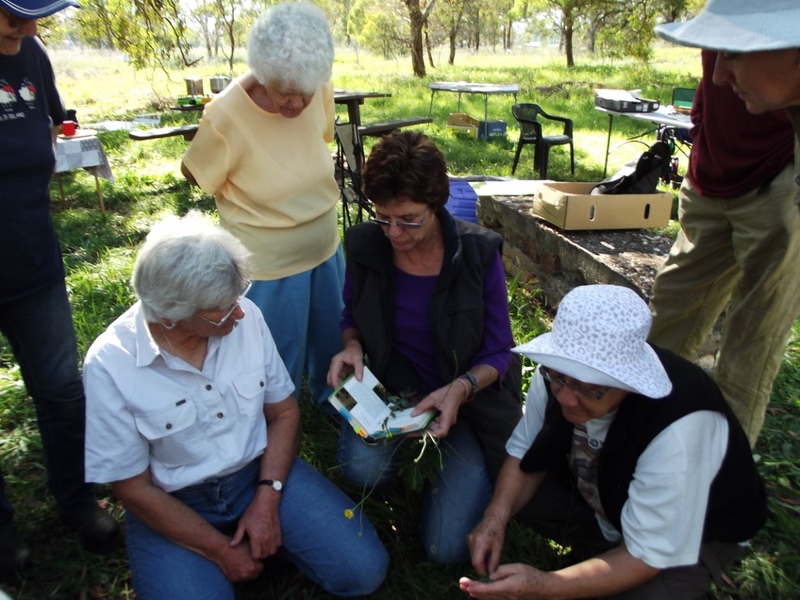 Mudgee District Environment Group (MDEG) performs a range of activities in the region based on its aims. It also steps out of the Mid-Western area when the situation demands it. One of its aims is to support environmental campaigns of local, regional, national and international significance. Acting on this endeavour, a busload of members travelled to Sydney on 24th March. They joined 10,000 others to be part of the Time2Choose rally – a call to the NSW government for clean air, clean water and clean energy. Participants had travelled from all corners of the State. Many farmers took to the streets with their horses to reinforce concerns for the future of agricultural land with current policies. Our neighbours at Wollar were there in strength. All with a common voice demanding action to protect our land and our water from coal mining and gas extraction. Another aim of MDEG is to preserve and maintain the district’s natural environment. Did you know that we have a significant and beautiful remnant of Box Gum Grassy Woodland at Adams Lead Reserve, Goolma Road, just outside Gulgong? This vegetation type is classified as an Endangered Ecological Community. It once covered much of South Eastern Australia and the last parts need to be carefully managed. MDEG members are ready for the challenge! This extraordinary place is managed by a sub-committee of MDEG: the Friends of Adams Lead (FOAL) The area contains mature remnants of Grassy Box Woodland, historic goldfield diggings and mullock heaps and a small water body. A small picnic area with BBQ, walking tracks and information signs have been developed to increase the social and educational appeal of the site. FOAL folk gather there for a working bee the first Saturday of the month at 8.30. That means tomorrow! Why not call by, go for a walk, have a chat with the Friends, or lend a hand weeding and learn about our heritage! MDEG has a major campaign on hand at the moment, working to prevent tunnels being excavated under The Great Dripping Wall. To raise money to support this campaign, we are running a raffle with magnificent prizes. First prize gives you an opportunity to stay for 2 nights in a beautiful, tranquil setting near The Drip. Goulburn River Stone Cottages have offered this wonderful experience. The cottages are unique. See http://stonecottages.com.au/ for more information about this stunning accommodation. Want to take The Drip home, and look at it whenever you like? Second prize includes an original fine art print of the wall, by a local artist. Third prize is a hamper of wonderful Mudgee produce. The good news is you can purchase raffle tickets at our street stall in Market Street near the Town Hall arcade today! Be quick: 10.00am-2.00pm only! Get the latest info on The Drip, sign the petition and get your raffle tickets.